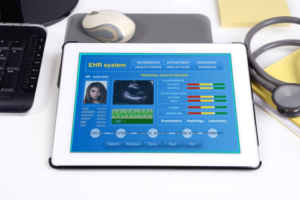 Do you hate your electronic health records (EHR) system? If so, you’re not alone. Studies show that at least a third of providers are dissatisfied with their EHR software and want to make a switch. While there are plenty of software vendors offering pre-built programs, many providers are finding that building their own EHR solution is actually a better option. While it’s not necessarily a simple process, building an EHR from the ground up allows you to design a workflow that fits your needs, rather than trying to bend your practice around an existing solution. If you are on the fence about the idea, consider these six common signs that it’s time for a DIY EHR approach. Most likely, it’s been a few years since you implemented an EHR into your practice. While a learning curve is to be expected — and you might have grumbled a bit about having to invest in the technology in the first place, since your previous system was working just fine — by now, you should be used to the software and accept it as just another part of your day. If your EHR is a source of frequent headaches though, or disrupting your workflow to the point where you wish you could just go back to paper, then it’s probably time to find a better solution – perhaps one that is less complex or one without so many unnecessary bells and whistles. Building a new EHR with your unique practice needs in mind from the start can end frustration, and help you let go of paper for good. Despite electronic records being the standard for most medical practices (80 percent of practices use the technology), there are still physicians who are not willing to make the shift despite reimbursement penalties and losing out on incentives. Some physicians have even retired, or considered retiring, in large part because they don’t want to deal with an EHR. Some physicians have simply taken the financial hit, or shifted to a private pay model and stopped taking insurance, or even shifted to a concierge or subscription model in which patients pay an annual fee for their care. If you have considered any of these options, and think that the process of changing your entire practice model is preferable to using the new technology, it may simply be a case of not finding the right solution yet. Designing your own solution can solve for this challenge.  – Are there features that you still can’t figure out, or that you don’t use because you don’t know what they do? – Do you consistently make the same mistakes? – Are you still using “cheat sheets” or calling for support months or years after implementation? If any (or all!) of these apply, it’s time to look into using something else. 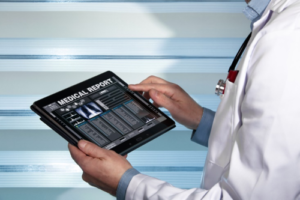 According to one survey, 92 percent of physicians prefer to use their electronic system on a tablet. Yet many older EHRs are not yet compatible with mobile devices. If your EHR does not offer the full functionality that you need — and the developer isn’t showing any signs of movement in that direction – you need to consider changing providers or building your own EHR system. In the early days of EHRs, the average physician practice could expect to pay upwards of $100,000 or more to implement the software. While the costs have gone down considerably, many practices are still spending far more than they need to for healthcare management software. A cloud-based system can cost as little as $2,400 per year, up to about $12,000 per year; a server-based system is generally billed per user, anywhere from $2,500-$5,000 per person. However, that’s not where the costs end. Many vendors also charge fees for training, support, maintenance, software licensing, updates, and in some cases, even a record fee of up to $1 per patient. Those fees can add up, and aren’t always necessary. By building your own EHR, you can eliminate many of the costs associated with electronic medical records. Not only do some software vendors charge extra for support, but the support you do receive isn’t always as helpful as it could be. Many outsource their support functions overseas, which contributes to a slew of challenges, including communication barriers and potential issues with the security of protected health information. With your own build, you can rely on more effective and secure support. EHRs hold a great deal of promise for the future of healthcare. If yours is too frustrating, expensive, or out of date, you aren’t reaping the full benefit, and it’s time to move on.